Since some of our bed are twin over futon bunk beds, we often get asked for futon covers. 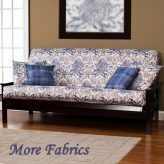 Most of the futon covers listed in this category are matching our bed cap comforters too! 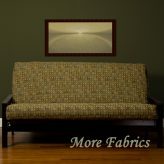 So if you really want to mix or match fabrics on this type of bunk, we have the fabrics for you. 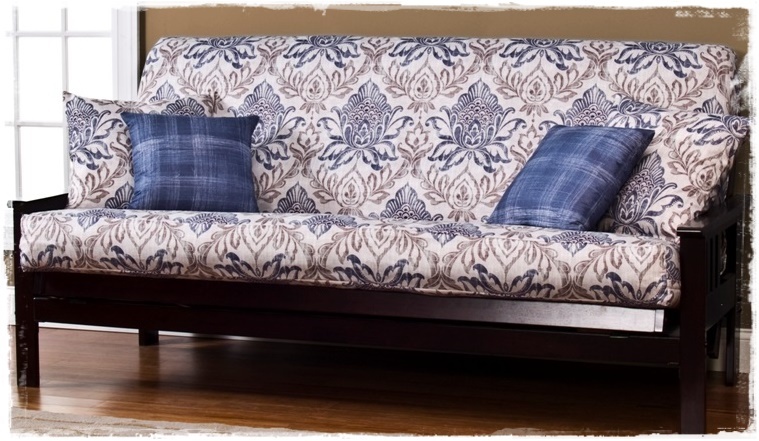 If you just need a futon cover, ours are made by the best made bedding company in the industry. We have hundreds of fabrics to choose from, in all types of care – machine wash, dry clean or spot clean. We even have futon accessories like futon grippers and PlushGuard Futon protector. 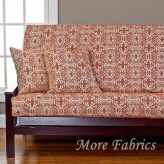 Our pictures show futon slipcovers in full size for bifold futon mattresses but all of these come in a twin size mattress cover making these the perfect daybed bedding too! Add pillows if desired. This bedding is 100% guaranteed – you will love it. Custom sizes are welcome too – contact us for a quote if you don’t see your mattress size here.